"But this is not the only way this malware is distributed. On 28 December 2015, Kaspersky Lab experts were able to spot a version of the Acecard downloader Trojan – Trojan-Downloader.AndroidOS.Acecard.b – in the official Google Play store. The Trojan propagates under the guise of a game. When the malware is installed from Google Play, the user will only see an Adobe Flash Player icon on the desktop screen and no actual sign of the installed application." 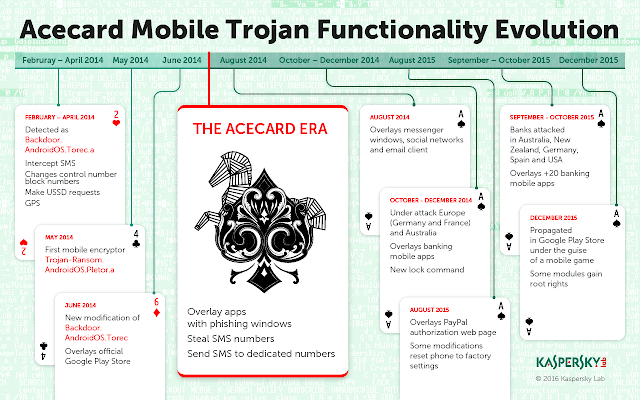 "We discovered a new version of trojan downloader: Trojan-Downloader.AndroidOS.Acecard.c. It is distinguished by the use of a vulnerability in the system after launching the trojan that allows it to obtain superuser permissions. Once equipped with these authorizations, Trojan-Downloader.AndroidOS.Acecard.c can install Acecard banking trojan in the system memory, which protects against the suppression via traditional tools. In addition, another trojan which we already know is spread the same way: it is Trojan-Ransom.AndroidOS.Pletor"
So let's take a look to this specimen. 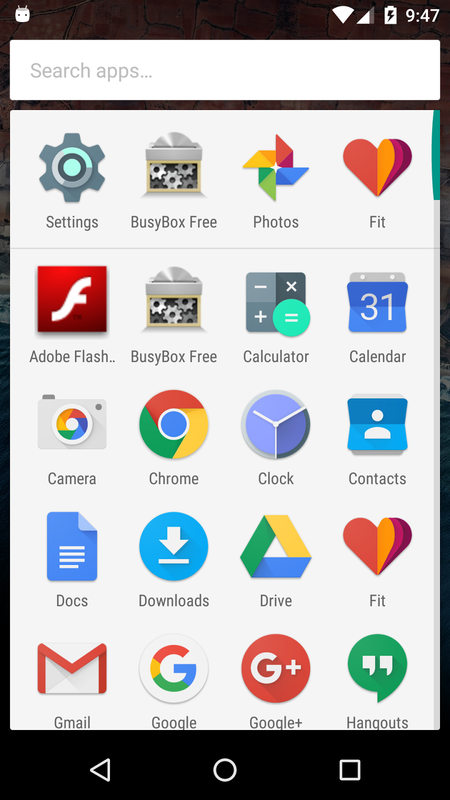 The APK, once installed, looks like a valid Adobe Flash Application. Looking at the debugging logs and the proxy, first thing I see is an HTTP connection to a host http://brutalmobiletube.com. In the HTTP request the IMEI of the device is sent, plus other information. Looking deeper in the debugger, I find several interesting strings, but one of them bring my attention: Executing exploit...oh wait! is this real?!?! 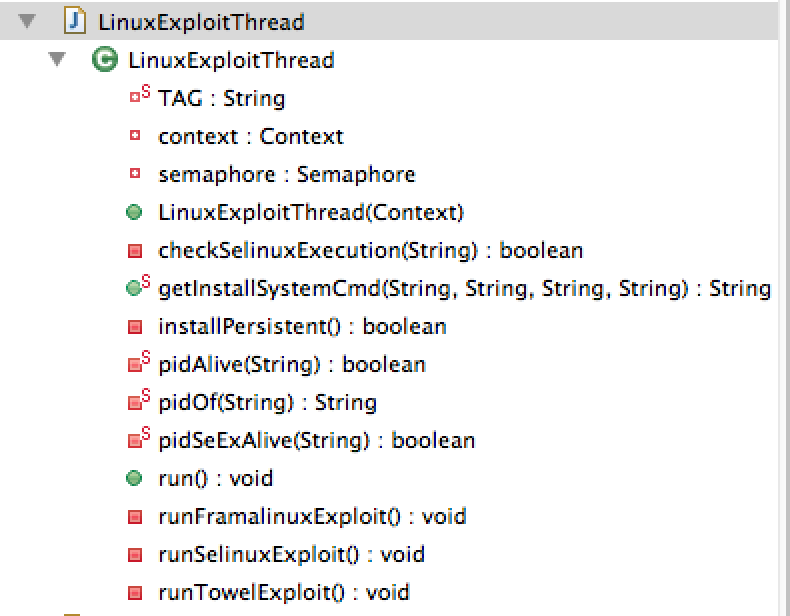 First, here is a class name "LinuxExploitThread" which is quite self-descriptive. 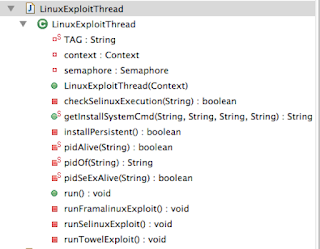 The method "run" in that "LinuxExplotThread" class invokes several other methods which tries to to get root access in the device through different exploits. Beside that the malware author did not bother to obfuscate the code or even put names to the classes a bit less self-descriptive, the name of the methods to run the exploits are exactly the same than the vulnerability they try to exploit. The exploits files are part of the APK file and are stored in a directory name "assets".